The story of The Black Widow, Blanche Taylor Moore. In October of 1990, President George H.W. Bush condemned Iraq's takeover of Kuwait. Famed American conductor Leonard Bernstein, composer of "West Side Story," died at 72. And a meteorite exploded above the Pacific Ocean. Closer to home, an unimaginable murder trial was the talk of North Carolina. Many knew 57-year-old Blanche Kiser Taylor Moore as a middle-aged churchgoer with a grandmotherly appearance and a cool demeanor - the last person you'd suspect of being a serial killer. "We're talking about an average, ordinary neighborhood lady," former Alamance County Sheriff Richard Frye told The Associated Press in 1989. Yet Moore was convicted of murder in the 1986 arsenic-poisoning death of her boyfriend, Raymond Carlton Reid Sr.
A book would be written, and a TV movie made. Soon, the nation would see her in another light - as the "Black Widow," a diminutive figure with a dark side -- suspected of methodically poisoning at least four other people close to her, going back as far as 1966. Fast forward to 2019, and Moore, who will turn 86 on Sunday, is the oldest person on North Carolina's death row. She has been at the N.C. Correctional Institution for Women in Raleigh since Nov. 16, 1990. She'll likely die from cancer (which she's fought in the past) or natural causes rather than for her crimes. It is a fate she didn't leave to her suspected string of victims. She was born Blanche Kiser in Concord, North Carolina, but spent much of her adult life in Alamance County. It seemed a perfectly normal existence - the daughter of a preacher, she went to church, had children and grandchildren and worked for many years at Kroger in Burlington. It was at the grocery store that Blanche Taylor, who was married in 1952 and widowed in 1973, met and later began dating Reid, a divorced store manager. She rose to head cashier, the highest position a woman could hold at the time and was said to be a good employee. But in interviews with the Baltimore Sun for a 1989 story, other workers called her "vindictive," and "two-faced." Moore and Reid worked together for years at Kroger, beginning in 1962, according to court records, but didn't begin a romantic relationship until 1979. "Mom never expected to spend the rest of her life by herself. She had too much to offer," Blanche's daughter, Cynthia Taylor Chatman told the Baltimore Sun in 1989. In the same article, her other daughter, Vanessa Woods, said Reid "was a very good man. He was good to us." According to court testimony, Reid told a Kroger co-worker that he and Blanche "probably would have been married, except she wanted to be there next to her family." Kroger made Reid move around quite a bit, transferring him several times in 1979 and 1980 until he became a store manager at a Winston-Salem location. Blanche preferred to stay closer to home, working in Burlington her entire career, except for a brief stint at a store in Durham. She left Kroger on Oct. 17, 1985. A couple months after she quit, Blanche had Ray Reid over on New Year's Eve and served him some of her homemade potato soup. On Jan. 1, 1986, he rang in the new year with severe nausea, vomiting, and diarrhea. Reid, not known as someone who got sick much, missed more than four weeks of work during the next few months. His long and distinguished career ended May 29, 1986. Less than five months later, Reid died at Baptist Hospital in Winston-Salem. Puzzled physicians initially attributed his Oct. 7, 1986, death to Guillain-Barré syndrome. He was 50 years old. It would take another remarkable case of poisoning, suffering and astonishing survival to explain Reid's mysterious demise and send a murderer to death row. "I guess it brought back a lot of memories. I have no doubt that I was poisoned," the Rev. Dwight Moore said in 1994 after a hearing before the State Supreme Court. Dwight Moore was the divorced pastor of what was then Carolina United Church of Christ in Alamance County. According to Jim Schutze's 1993 book about the case, "Preacher's Girl: The Life and Crimes of Blanche Taylor Moore," he met Blanche on Easter Sunday 1985 and the two began spending time together. The relationship deepened, and marriage was discussed. The two were wed April 19, 1989. The first sign of trouble happened right after they returned from their honeymoon. Dwight Moore became violently ill after eating a chicken sandwich his new wife offered him. He was near death at a Chapel Hill hospital, hooked to a ventilator, his liver, kidneys and heart failing. He wasn't expected to live. Doctors threw a Hail Mary: They ordered blood tests for herbicide poisoning, because he had used the chemicals before his illness. The results revealed more arsenic than his doctors had ever seen in a living person - 100 times the normal amount. The hospital alerted police, who interviewed him as he lay on what was supposed to be his deathbed. Miraculously, some might say through divine intervention, the pastor survived. The shocking discovery led to an investigation. Detectives heard Dwight Moore's story and then began probing into Blanche Moore's background. They discovered that her first husband as well as Reid had died under suspicious circumstances. Authorities exhumed the bodies of Reid, Blanche's father, P.D. Kiser Sr., her mother-in-law, Isla Taylor, her first husband, James N. Taylor, and a former co-worker, Joseph Mitchell. But autopsies revealed a new cause of death - arsenic poisoning - for Reid, who had arsenic levels 30 times higher than normal, and James Taylor, whose 1973 death at age 45 had been attributed to a heart attack. His arsenic levels were 60 times higher than normal. On July 18, 1989, authorities arrested Blanche Moore and charged her with first-degree murder in the deaths of Taylor and Reid and assault with a deadly weapon in the poisoning of Dwight Moore. In October 1990, Blanche Moore went on trial in Forsyth County for the death of Raymond Reid. The prosecution got a boost in the case just days before the trial when Forsyth County Superior Court Judge William Freeman ruled that prosecutors could discuss the poisonings James Taylor, Dwight Moore and Kiser even though the trial was only about the murder of Reid. During the trial, the prosecution recounted Reid's agonizing death in meticulous and horrific detail. On May 30, 1986, as Reid's condition worsened, he was admitted to Wesley Long Hospital in Greensboro. He had been unable to keep down any solid food and according to court testimony, Dr. Norman H. Garrett Jr. thought he had acute gastroenteritis based on "his profound dehydration, nausea and vomiting." By June 5, Reid had gotten better and Garrett told Reid, with Blanche present, that he might be able to go home within a week. Instead, Reid became deathly ill and was transferred to North Carolina Baptist Hospital in Winston-Salem on June 13. At Baptist Hospital, Dr. Robert Hamilton began with a preliminary diagnosis of Guillain Barre syndrome. Hamilton ran many tests but never saw the results of one that may have saved Reid's life - a urine sample from Reid taken between June 27-28 showed "quite elevated" levels of arsenic. Remarkably, Reid again improved. According to court records, Blanche sought and got permission from Dr. Hamilton to bring Reid food from home. Soon after, Reid suffered a serious setback. Lisa Hutchens, the head nurse in the Intensive Care Unit, testified that she saw Blanche feeding Reid banana pudding on Oct. 1. A couple days later, she testified, she visited Reid's room and said he was in "acute respiratory distress" and was very frightened. "'Please help me or I'm going to die," Hutchens recalled Reid telling her. The nurse testified that Blanche often brought Reid food from home such as iced tea, frozen yogurt, milkshakes, and soups. Reid's son Steven Reid testified that he visited his father on Oct. 4 and found him eating breakfast prepared by Blanche. A couple of days later, Steven had returned to school at East Carolina University when he got a call from Blanche telling him to get back to see his father as quickly as possible. Steven Reid testified that when he arrived on the evening of Oct. 6, he hardly recognized his father. He was bloated and his "eyeballs were even starting to swell and his skin was splitting." Reid continued to get weaker and despite valiant efforts to save him, was pronounced dead Oct. 7 by Dr. Kyle Jackson, who blamed the death on complications from Guillain-Barre syndrome. According to several witnesses, Blanche told doctors in the moments after Reid's death that "We cannot have an autopsy. He has been through too much. He wouldn't want to be cut on like this. We just - we cannot have one." When Reid's body was exhumed from Pine Hill Cemetery in Burlington, an autopsy performed in Chapel Hill revealed "clearly recognizable" Mees lines across the fingernails of both hands, and the toxicology report showed arsenic in Reid's liver "30 times higher than one might see in an average individual." The arsenic in Reid's brain tissue was approximately 67 times higher than normal. Dr. John D. Butts, the state's chief medical examiner, concluded that "Reid died as a result of the complications of arsenic poisoning." Strengthening the state's case, Dr. Vincent Guinn, a chemistry professor at the University of California-Irvine and an expert in the field of nuclear chemistry, concluded that the arsenic levels found in Reid's hair corresponded "to a long period of ingestion of arsenic, multiple ingestions." According to court records, Dr. Guinn noted that on June 24, 1986, the arsenic in Reid's hair sample was "roughly 70 times the normal level." Blanche Moore took the stand in her defense and denied ever feeding Reid in the ICU at the hospital. In fact, she denied ever seeing him "have any food at all during that time" or having ever taken food to him in the hospital. She also denied discussing Reid's autopsy with anyone and told the courtroom that she would not have been opposed to an autopsy. She also testified that though she had heard of Anti-Ant, an ant poison containing arsenic, she had never bought it or asked anyone to do so. She flatly denied slipping arsenic to either of her husbands or Reid. But several hospital workers, family members, and visitors testified that they did recall Blanche bringing Reid milkshakes from McDonald's while he was hospitalized in Greensboro. A fellow Kroger employee, Gloria Head, recalled visiting Reid in the hospital and seeing a container of red Jell-O in Blanche's purse. Dr. Garrett had previously testified that Reid had told him on May 30, 1986, that he began vomiting after eating Jell-O the previous night. More troubling for the defense, a nurse testified that she saw Blanche bring peanut butter milkshakes, banana pudding, tomato pudding, corn bread, and milk for Reid and feeding him herself. Notes from the ICU unit read in court showed repeated instances where Reid complained later in the day of being nauseated after having been fed by Blanche. The prosecution also brought forth several witnesses to connect Blanche with Anti-Ant, an ant poison containing arsenic that was available for sale at the time. Brenda Green, a Kroger co-worker, testified that she heard Blanche recommend Anti-Ant to a customer as a good ant killer. Dwight Moore testified that during the summer of 1985, Blanche showed him a bottle of Anti-Ant and asked him to buy some for her from Byrd's Food Center in Glen Raven. Moore testified that he bought the Anti-Ant at Byrd's and gave the bottle to Blanche. Another former co-worker, Leonard Wolfe, who owned Ken's Quickie Mart in Burlington, testified that Blanche Moore came into his store in early April 1989 and asking if he "had any Anti-Ant in stock." Prosecutor Janet Branch ripped into Blanche Moore time and again, making dramatic and emotionally wrought statements to the jury. "He's crying because his murderer isn't coming to see him! Can you imagine anything more pitiful in this whole world? And he loves her with all his heart," she said, describing Reid as he lay dying in the hospital. Despite the damning and disturbing evidence, the defense seemed optimistic. "Well, she hasn't made a lot of comment about it, but in her chance to reflect on that, and see how she's going to take that, she's not going to take that. She's going to come back out and she's going to testify eventually, and her response to it is, 'you'll see. I'm not guilty. I'm not supposed to be in jail at all,'" one of her defense attorneys proclaimed. But the jury disagreed, unanimously finding "the defendant, Blanche K. Taylor Moore, guilty of first-degree murder." Blanche Moore had maintained a detached demeanor during the trial, with a tight smile for the cameras tightly trained on her throughout. But as the guilty plea was read and jurors filed past, she wept. "She said to me, the end has to come. Let it come. We'll deal with it," defense attorney David Tamer said afterward. "Although she was strong in that regard, it was painful to see her broken by that verdict." Blanche Moore's family was also devastated. Because of the publicity in the case, many family members never believed that she would get a fair trial. "Everything we've been able to learn about her is a picture of a model person," one of her defense attorneys said after her conviction. "That in and of itself should have run up the reasonable-doubt flag for the jury, but I'm afraid there was just too much poison and too many different people." During the capital sentencing phase, the jury found as aggravating circumstances that Blanche Moore was motivated to kill for financial gain and that Reid's murder was "especially heinous, atrocious, or cruel." On Nov. 16, 1990, she was sentenced to death. Ten days later, she got a stay of execution pending an appeal. Her defense argued before the North Carolina State Supreme Court that Moore had not received a fair trial and that the other deaths should not have been allowed as evidence. "Connecting the death of James Taylor with that of Raymond Reid and illness of Dwight Moore, unless they make that direct connection, then the evidence is clearly not admissible," her defense team argued. A Supreme Court justice posed the question to state attorneys: "How do you tie the defendant into these similar poisoning incidents? What is the evidence that connects her to them?" "I think if there's any doubt about the tie-in between Blanche Moore and these three individuals and their arsenic poisoning, it comes from the actual confession letter itself, your honor." That confession letter is one of the many bizarre facets of this grim saga. It was supposedly a deathbed confession written by a homeless, now-deceased man named Garvin Thomas, who was said to be infatuated with Moore. In the letter, Thomas allegedly confessed to killing Reid and trying to fatally poison Reid. State handwriting experts, however, said Blanche Moore wrote the letter herself. The state expert, a "questioned documents examiner and forensic chemist," ruled out Thomas as the author to a 99-percent degree of certainty. Former Forsyth County prosecutor Vince Rabil, along with Branch, was one of two attorneys tasked in 1990 with convicting Blanche Taylor Moore. He recounted how he helped prove the confession letter was a forgery in a piece he wrote for Greensboro.com in December 2015. "I came to feel that if the state could prove she actually wrote the chilling details in that letter, she had signed her own death warrant," Rabil wrote. The NC Supreme Court wrote that "the letter was offered into evidence by the State not as the dying declaration of Garvin Thomas but as evidence of defendant's "deceptive plan to throw suspicion away from herself." In 1994, the high court concluded that Moore had received a fair trial and rejected the defense's motions. In doing so, the Supreme Court justices noted that "the State presented extensive circumstantial evidence marking the similarities between Reid's death and the arsenic poisoning death of Taylor and the arsenic poisoning of Moore. Three different men either married to or intimately involved with (Blanche Taylor Moore) died, or barely escaped death, from arsenic poisoning, an unusual cause of death. In each case, defendant had motive (financial), opportunity (close relationship), and means (knowledge of and access to Anti-Ant). "In each case medical evidence suggests that multiple doses of arsenic were administered to the victim over a long period of time, as opposed to one large fatal dose. In each case defendant was frequently alone with the victim in the hospital, and medical testimony suggests that certain of defendant's visits in which she fed the victim corresponded with an onset of symptoms characteristic of arsenic poisoning. "In each case, defendant was heard to say that she hated the victim or that the victim was cruel or evil. In the cases of Reid and Taylor, defendant was already seeing her next victim at the time of the arsenic assaults." 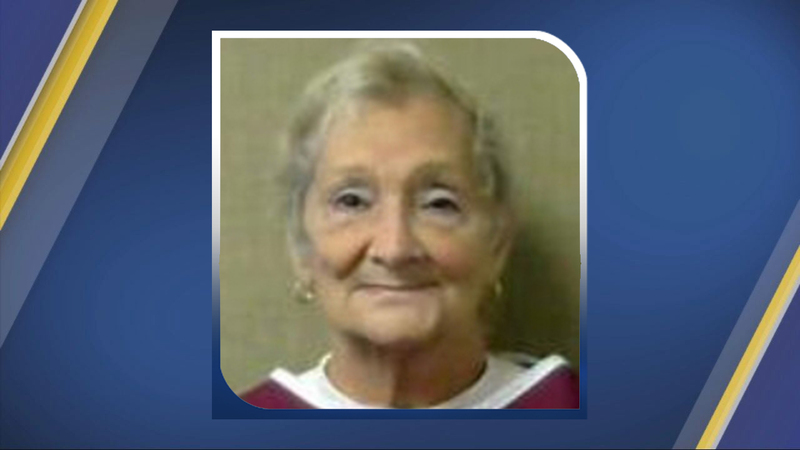 Blanche Taylor Moore now passes the time in Central Prison in Raleigh. Her time there has been mostly uneventful, marked by two violations, one for disobeying orders on Feb. 22, 2008, and more alarmingly, for misuse of medicine in November 1996. In May 1993, a made-for-TV movie about Moore aired on network television. Former "Bewitched" star Elizabeth Montgomery played Moore in "Black Widow Murders: The Blanche Taylor Moore Story." Her husband, the Rev. Dwight Moore, filed for divorce in December of 1990. He eventually remarried and moved to Virginia. He died of natural causes in 2013. "She's guilty I think, you know, I think she did it," one man said during the hoopla surrounding the trial 29 years ago. "I mean that's just my opinion, but I think she did it." Blanche Taylor Moore's current prison mugshot. North Carolina hasn't executed an inmate since Aug. 18, 2006. It's not likely Blanche Taylor Moore will meet that fate. She's maintained her innocence throughout her long incarceration, but the chilling evidence suggests otherwise. "It's hard to believe that any one person would do such a horrible thing," one woman said way back when. "But yet it all seems to point that way."